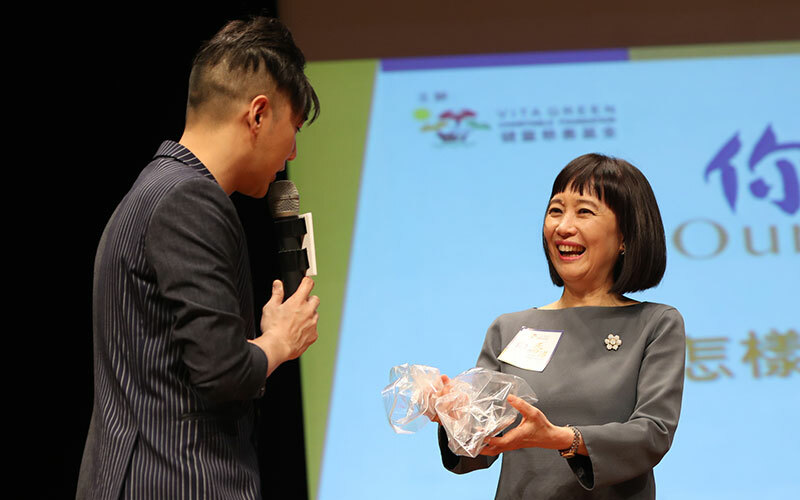 Round 2 of Our Hong Kong Forum, sponsored by Vita Green Charitable Foundation, was held successfully in the Hong Kong Convention and Exhibition Centre today. Dr. Agnes Chan Mei-ling, the vice-chairman of the organizing committee, was our emcee today to hold the seminar. 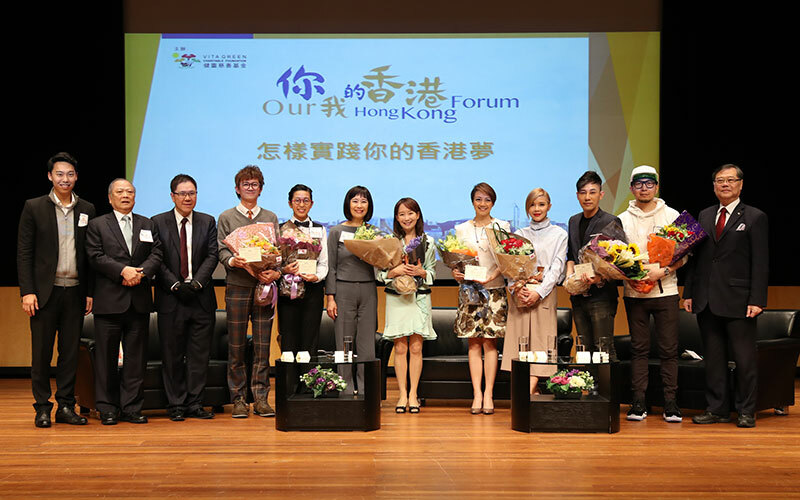 We were honoured to have invited 6 guest speakers including Ms. Winnie Young Yuen-yee, Ms. Charmaine Fong Ho-man, Ms. Ng On-yee, MH, Mr. Louis Yan Chak-kuen, Mr. James Hong and Mr. Jason Chau. They were actively engaged in various industries and have achieved great success after paying their effort to overcome the barriers. The seminar was open to the public for free and has attracted a number of students and teenagers to attend. Speakers were happy to share their experiences in achieving their own dream which were inspiring to the teenage in planning their future. During the seminar, Agnes mentioned that she achieved her dream in being a singer in a strange environment. After marriage, she decided to study in the US regardless of the comments from the public at that time. ‘There is no age limitation to chase your own dream, just like life-long learning. The first step to find a dream is to affirm your own value. Do not compare yourself with others, or you will only make yourself more frustrated. Everyone has their own value set. You can compare yourself with the person you were yesterday when you are on the way chasing your dream, so that you could surmount yourself by realizing your improvement,’ she shared. Charmaine, who has been making music for almost 15 years, shared that her attitude and viewpoint to ‘dream’ changes along the time. 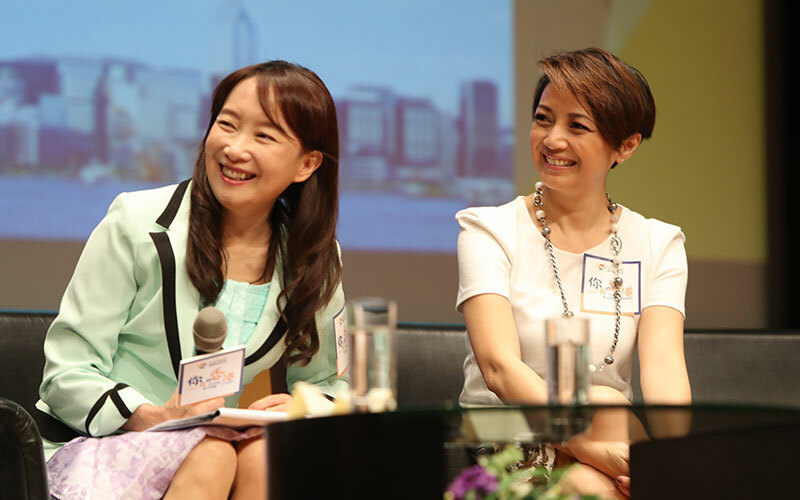 Winnie, the former champion of Miss Hong Kong Pageant, said that almost every girl has been dreaming of being a contestant in the pageant. 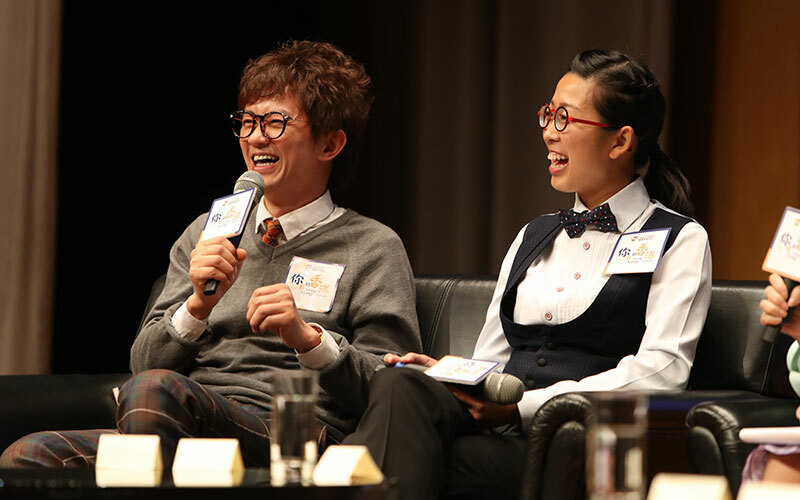 Moreover, Ms. Ng, the ‘Queen of Cue’, and Louis, the well-known magician, pointed out that both women’s snooker and magic performance in Hong Kong are not that popular. They hope their non-mainstream stories can inspire teenagers to ‘be yourself’ and fight for their own dream. 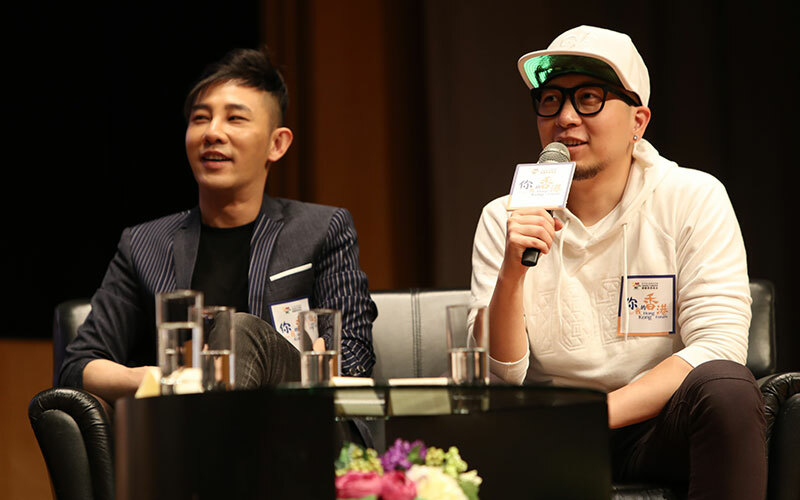 James, who was experienced in travelling as well as Jason who has been actively engaged in online media, agreed that teenagers should keep on trying new things. If they have found an interest in a certain field, they can set a goal and make themselves to be a specialist in that domain. This is how they started their journey of chasing their dream. Vita Green Charitable Foundation Vita Green Charitable Foundation is founded by the Vita Green Group. Vita Green Health Products Company Ltd and its sister companies were established in 1993 to promote Health Youth and Joy. ©2019 Vita Green Charitable Foundation Limited. All Rights Reserved.